This USA Made aerospace grade titanium wedding band is custom made just for you. 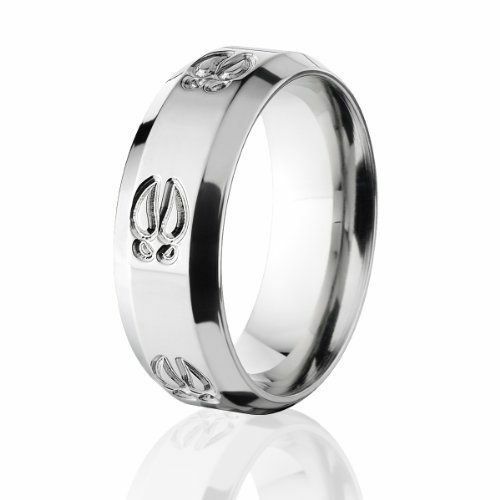 The titanium wedding ring measures 8mm wide and has beveled edges. The titanium ring features Deer Tracks carved around the center of the wedding ring. 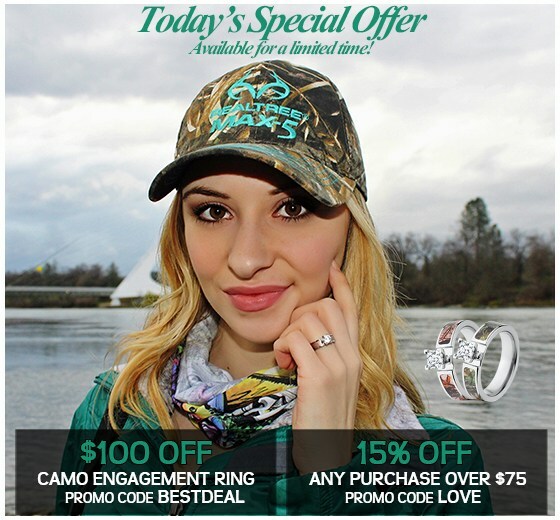 The outdoor hunting ring comes with an inside comfort fit design. This deer track ring is strong, scratch resistant, hypoallergenic, light-weight and extremely comfortable to wear! What is 27 + 2 = ?